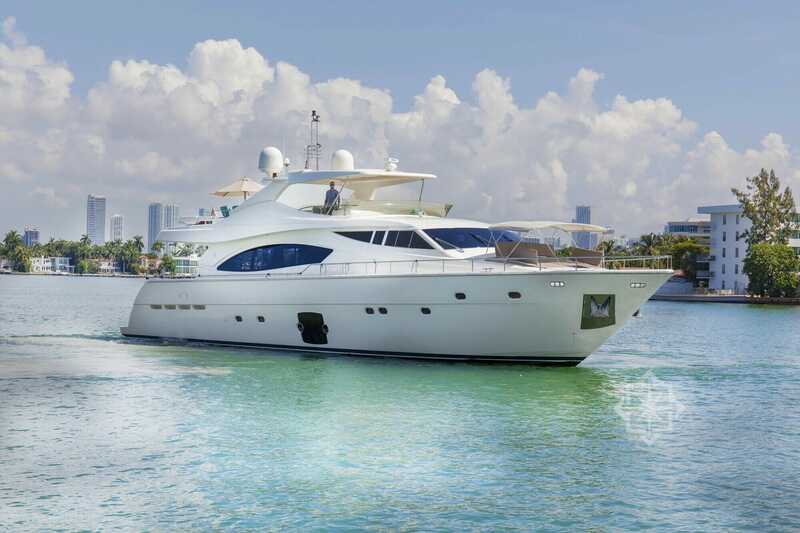 This stunning yacht is a true Queen of the seas, built by one of the most legendary companies in the motor yacht realm – the inimitable Ferretti. The company is known for their passion, innovation, and excellence. 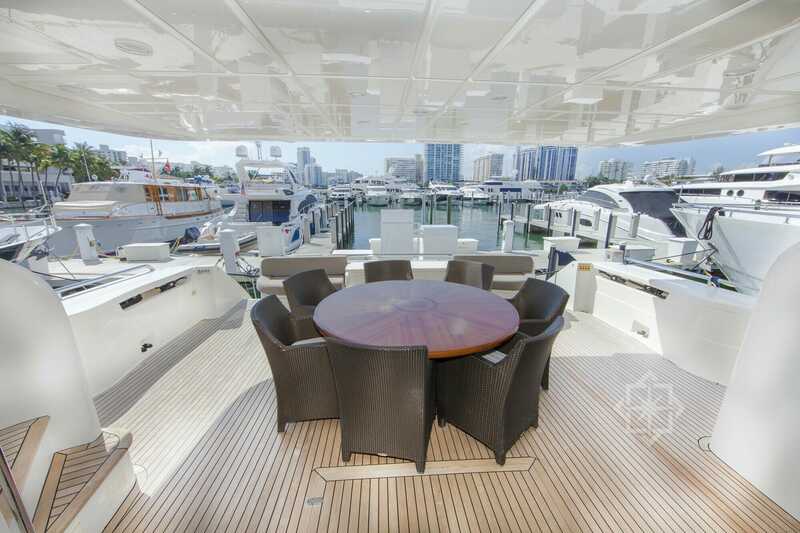 Once boarding you will notice at the aft a beautiful round dinning table that comfortably seats 6 guests. 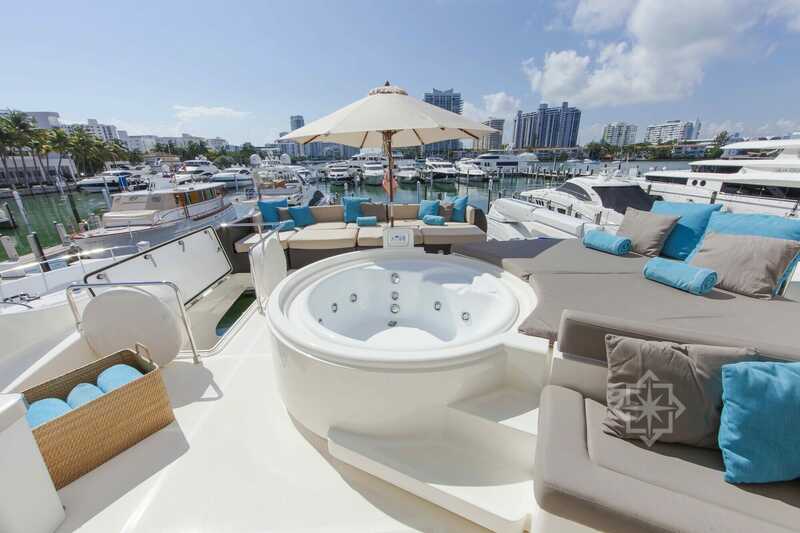 Upon exploring the flybridge you are welcome by the inviting jacuzzi or sunpad alongside it for lounging. 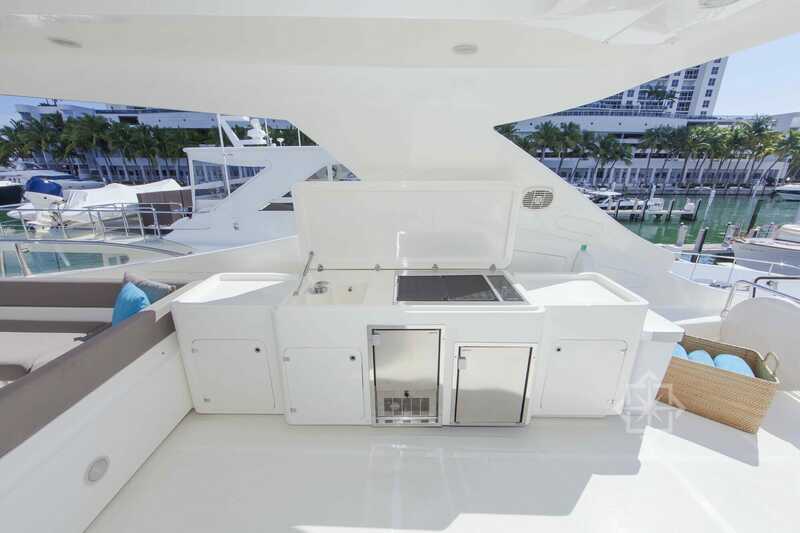 This yacht is great for entertainment and dinning, since the flybridge also includes a BBQ, wet bar and seating for 10 guests. 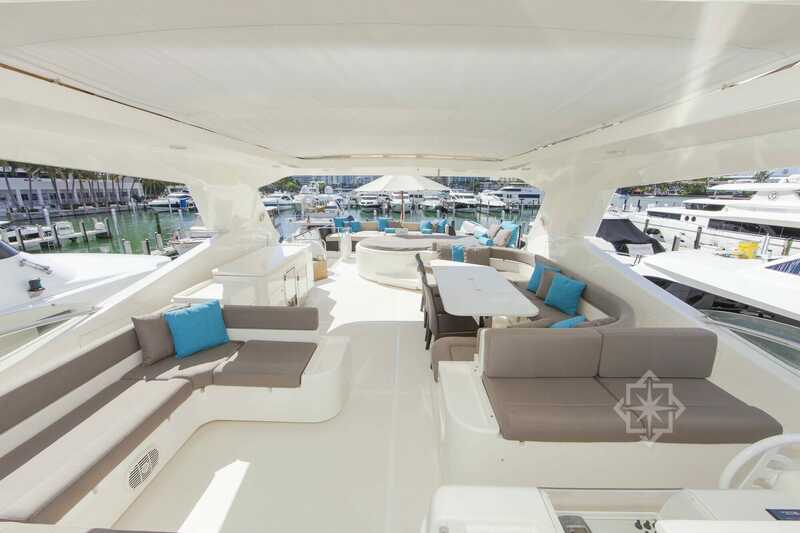 If you are looking to soak in the sun and scenic views while cruising, at the front of the yacht that there are sunpads as well. 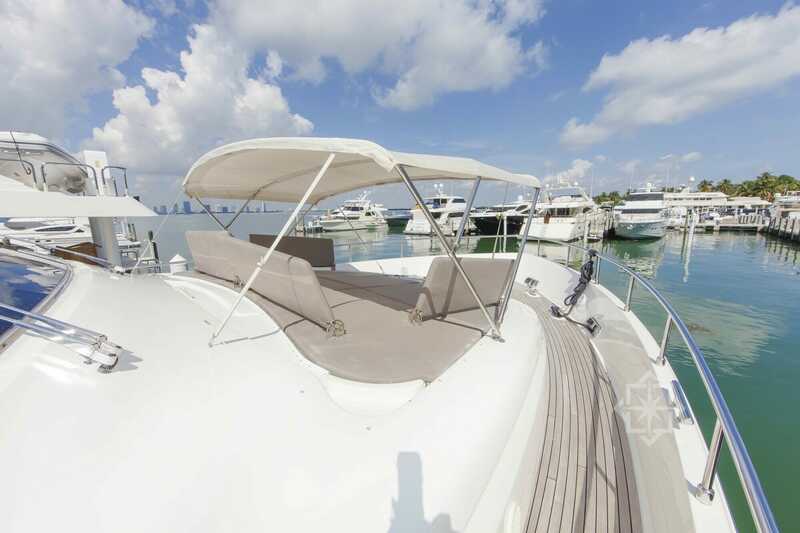 For those in the mood for some shade there is a canopy that can be opened by one of our crew. 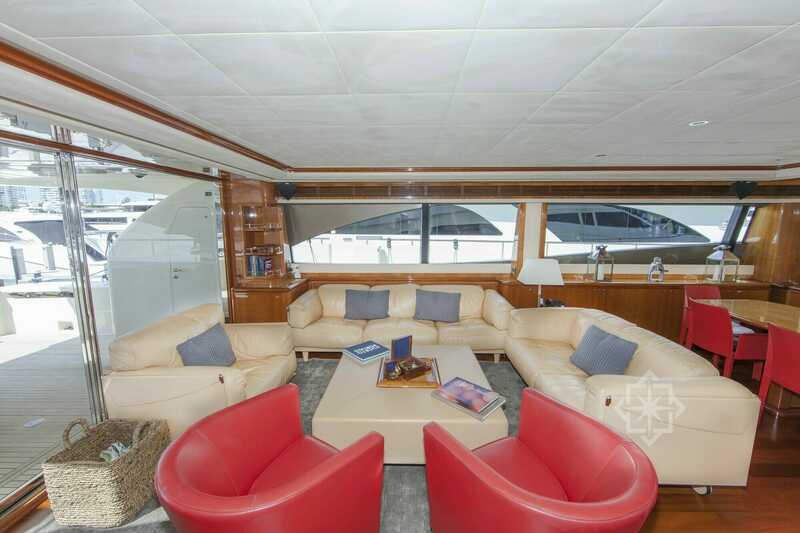 The interior of the yacht includes a well-appointed salon and a lovely dinning table for 8 guests. 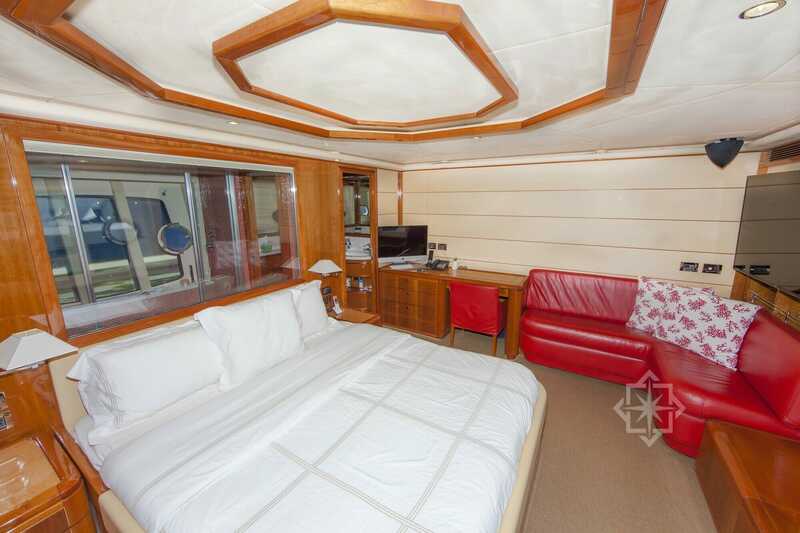 This yacht is also capable of accommodating up to eight guests in four staterooms; a Master stateroom with a king size bed, a VIP stateroom with a queen, and two twin cabins. 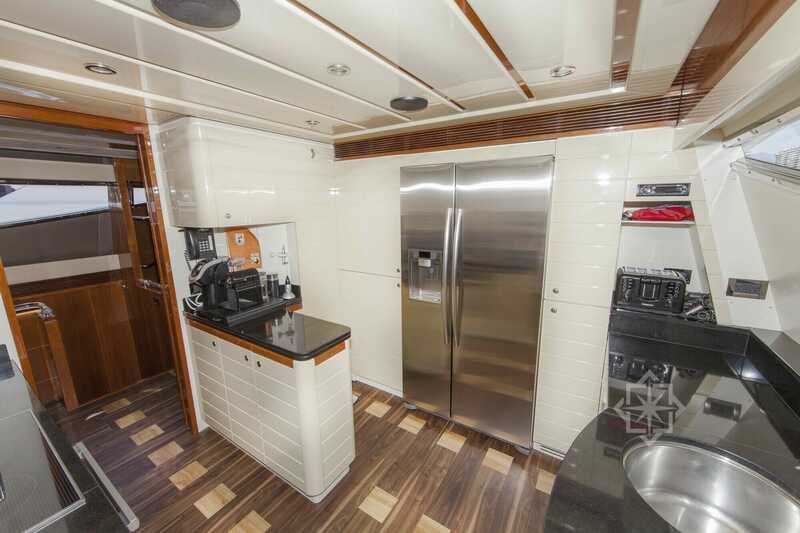 The 88′ Ferretti comes with a four person crew so that you and your guests can experience the ultimate in lavish and comfort while on board. 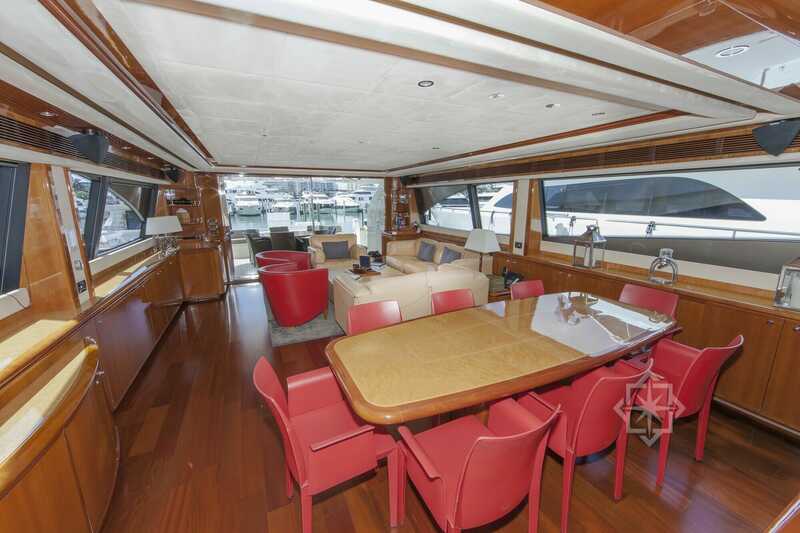 To top it off this yacht carries a remarkable collection of water toys.